Blackpool’s long wait for a home win continues after being held to a 0-0 draw against Bristol Rovers at Bloomfield Road. The Seasiders, who are without a win on home turf since the 2-1 victory against Bury in October, had the better of the game but once again couldn’t make their dominance pay. Bristol Rovers seemed content to play for a point but in fact, it was the Pirates who had the better chances in an entertaining last ten minutes. Blackpool will feel they ought to have had a penalty when Armand Gnanduillet was brought down in the box two minutes from time but referee Martin Coy waved away the Seasiders’ appeals much to the frustration of the home supporters. Instead, Gary Bowyer’s men were forced to settle for a point which neither side can really complain about - keeping both sides tied on the same number of points in the League One table. Blackpool made three changes to their side from the one that was unfortunate to lose 1-0 at Oxford United the previous week. Will Aimson came in for Curtis Tilt, who served the first of his two-match suspension having picked up his tenth booking of the season at the Kassam Stadium. Joe Lumley took hold of the number one jersey to make his league and home debut against the club he spent a loan season with last season, meaning Christoffer Mafoumbi dropped down to the bench. 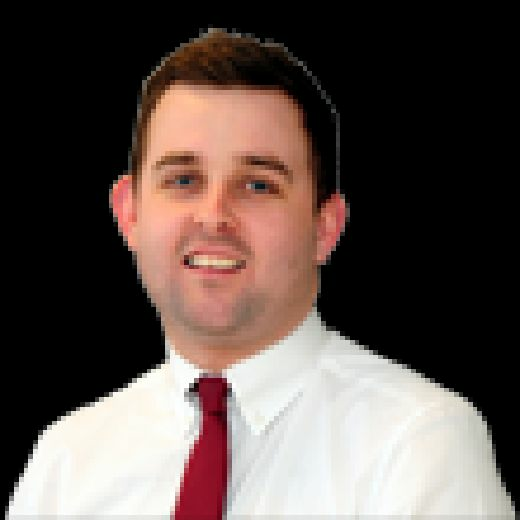 The inclusion of the 22-year-old keeper, who arrived on loan from Ian Holloway’s Queens Park Rangers at the start of the week, meant Blackpool had used four different goalkeepers in their last seven league games. Elsewhere, Jimmy Ryan returned to take his place in midfield in place of Viv Solomon-Otabor who missed out through illness. Jim McAlister, who made his long-awaited return in the midweek Checkatrade Trophy defeat to Shrewsbury Town, was named among the substitutes alongside youngster Rowan Roache. Bristol Rovers, who began the day just one position below Blackpool in the League One table, named former Pool players Sam Slocombe and Dom Telford on their subs’ bench. Darrell Clarke’s men made a blistering start to the game and had the ball in the back of the net inside 20 seconds, only for Rory Gaffney’s effort to be ruled out for offside. The Seasiders took a little getting used to their new formation, which appeared to be a 3-6-1 system with Colin Daniel and Ollie Turton acting as wing-backs and Sessi D’Almeida playing a more advanced midfield role and at times even acting as a second striker to Nathan Delfouneso. But they began to see more of the ball and had some joy out wide in particular. Colin Daniel had the ball down the left-hand flank and he found Sean Longstaff in space inside the Bristol Rovers box. The on-loan midfielder tried to catch out Adam Smith at his near post but could only shoot wide. The two teams began to cancel each other out and we saw no more goalmouth action until the 34th minute, when Colin Daniel’s ball across the six-yard box was cleared away by the Bristol Rovers backline under pressure. A pretty dull first half was brought to a close when D’Almeida found himself in some space just outside the Bristol Rovers box but could only shoot wastefully wide. The second half started in a similar fashion to the first with very little goalmouth action to report on. Ten minutes into the second period Colin Daniel whipped in a cross that beat everyone and almost ended up in the top corner of Adam Smith’s net, only to fly wide instead. The game soon sprung into life as Blackpool squandered a two-against-one situation on the break. D’Almeida held onto the ball for too long and when he did try and play in Delfouneso, his pass was eventually blocked by Ryan Sweeney despite the defender slipping to the floor. A floated cross in from Jay Spearing was cleared to Jimmy Ryan on the edge of the box and his half volley seemed destined for the back of the net, but a visiting defender put his body on the line to block. Gnanduillet continued to make a real nuisance of himself as he won a flick-on which reached Daniel inside the box but the wing back couldn’t quite get enough on his shot. Bristol Rovers came so closing to scoring after 77 minutes as Joe Lumley decided to come racing out of goal to meet a ball over the top when he really should have stayed at home. Rory Gaffney beat him to the ball, took it past him but could only fire across the face of goal with an empty net gaping in front of him. It was the clearest opportunity of the game up to that point but the visitors came close a couple of minutes later when Lumley atoned for his mini-error to make two saves in quick succession to deny Bristol Rovers from a corner. Jay Spearing was encouraged shoot as he bore down on the box and he did exactly that, sending his rasping drive just wide of the top corner. 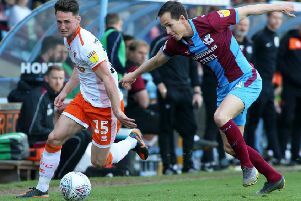 Substitute Rowan Roache provided a teasing cross for his striker partner Gnanduillet, who appeared to be brought down after nipping the ball past his defender but the referee waved away Blackpool’s penalty appeals. The visitors raced up the other end and brought out a vital stop from Lumley to keep out Tom Nichols’ drive with what turned out to be the last action of the game.